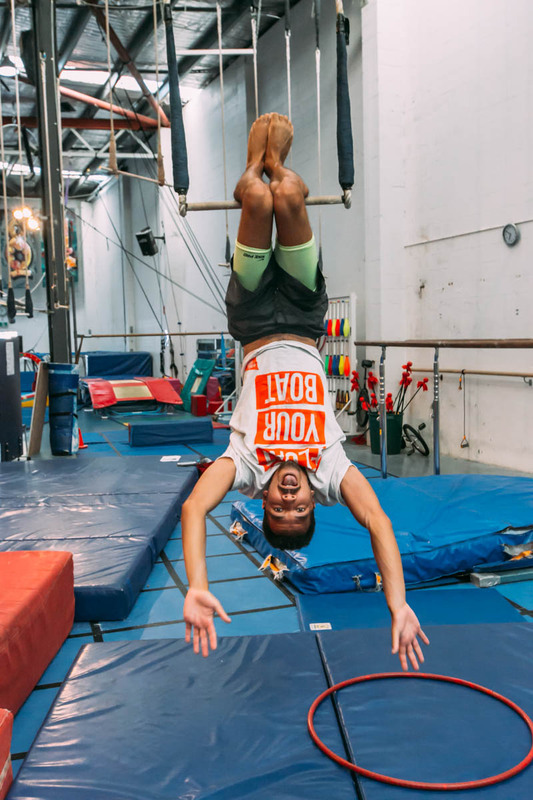 You know when you do something out of the ordinary, and once you completed that thing you say to yourself “I can’t believe i just did that” Well, Circus Arts is all about that exact feeling. 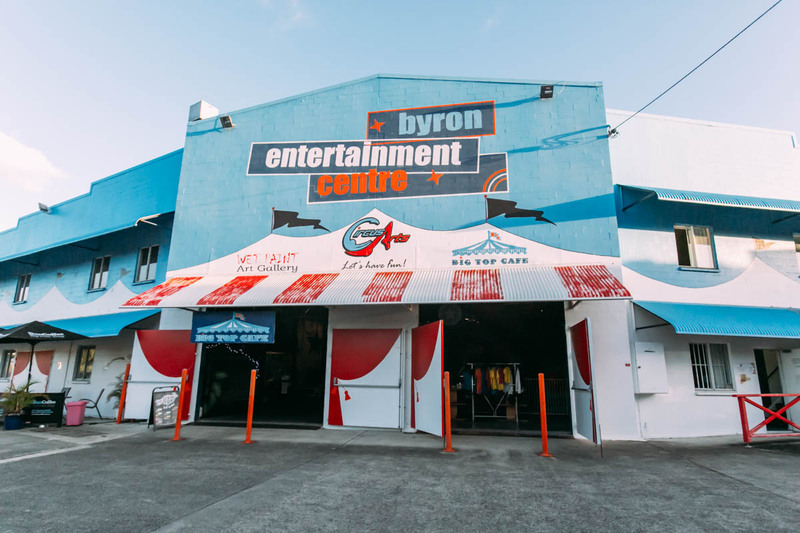 On a recent trip up the Australian North Coast the Wanderlife team were invited to come check out a very special place in this most special town, Byron Bay. 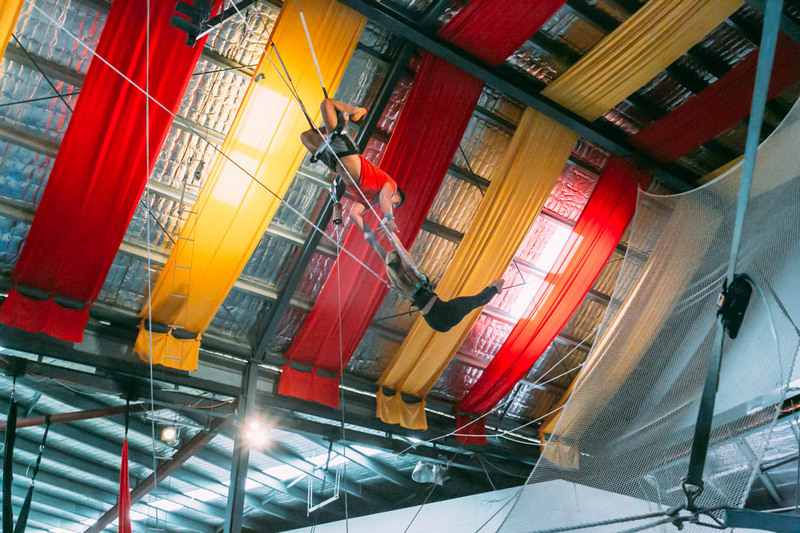 Circus Arts is a center for performers & acrobats, which offers classes to teach the art of the flying trapeze. 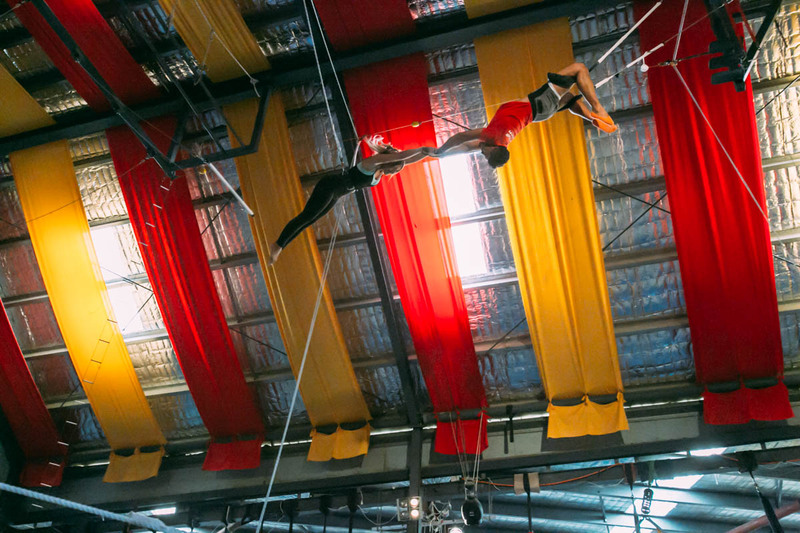 Featuring a 10m high flying trapeze setup, it’s not for the faint hearted. 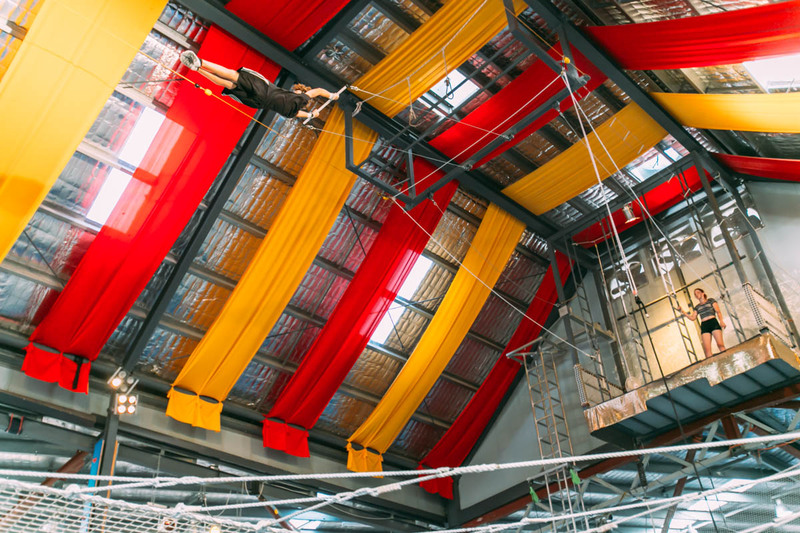 Some of us were more excited than others when we first laid eyes on the installation and saw the first candidates soaring through the sky, performing backflips and hair raising stunts high above the ground. 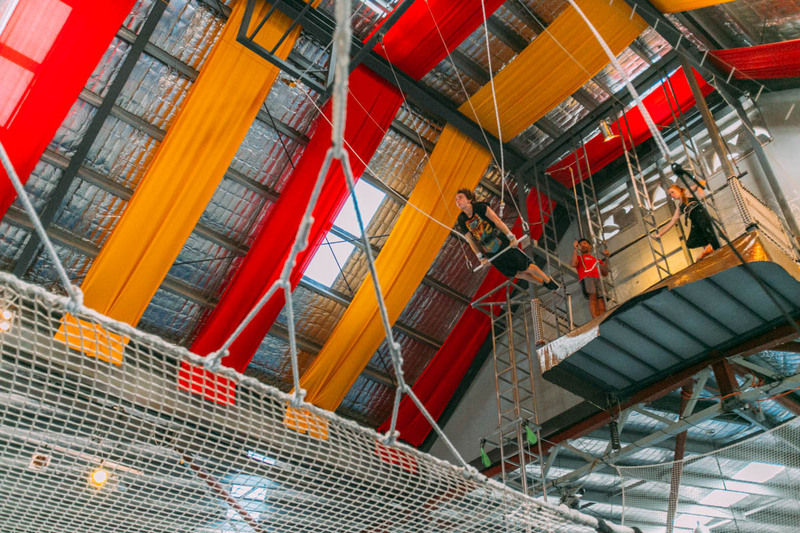 Naturally it’s a safe affair, with safety netting and a friendly instructor holding you up with a safety rope, but tell your brain that. We started the afternoon session with a short briefing and overview of what we’d be getting up to today. 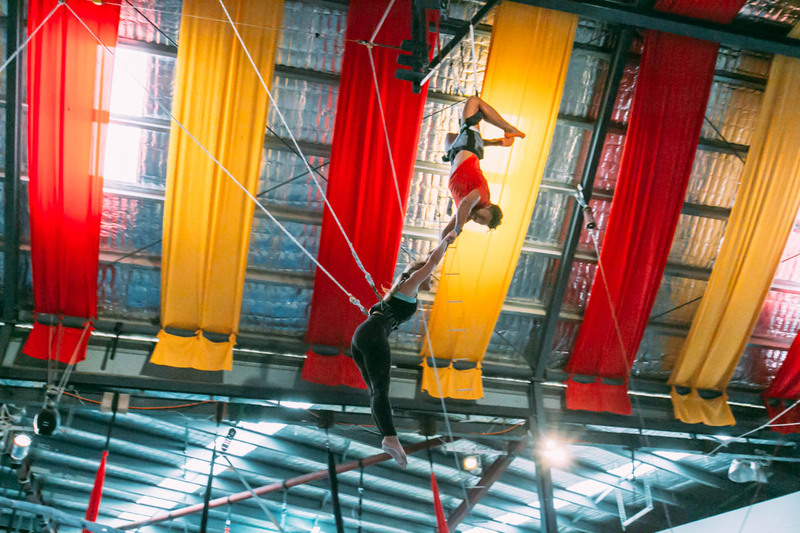 Hearing that by the end of the session we’d be flying through the air, swinging by our legs from a bar, to then release it and be caught by another person swinging our way was news to us, but an exciting and scary prospect. 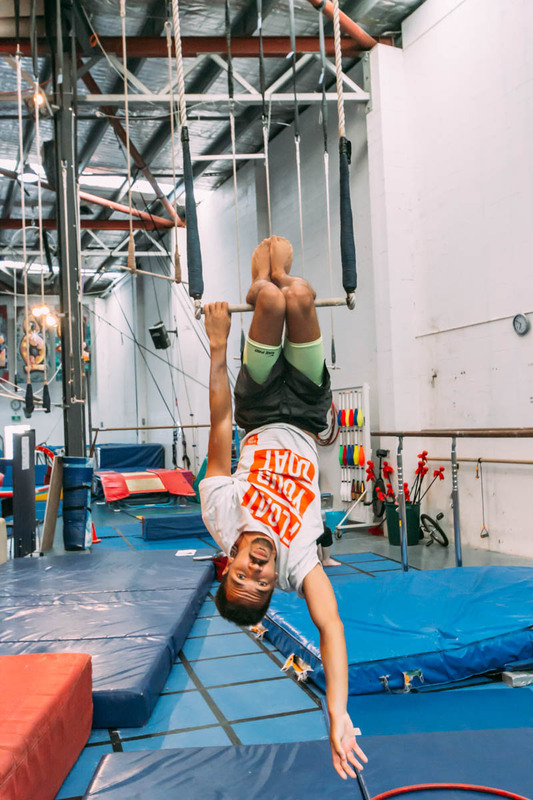 We stretched, then practised our moves on some ground level trapeze bars, trying to make a smooth transition from hanging by our arms, to getting our legs up and over the bar, so we could perform the daring upside down swing. Then before long it was our turn to begin climbing the ladder to the raised platform. The instructor waiting for us up top had a great sense of humour, making sure all the while that we were enjoying ourselves. “First time for fear, second time for fun.” was the saying he informed us. 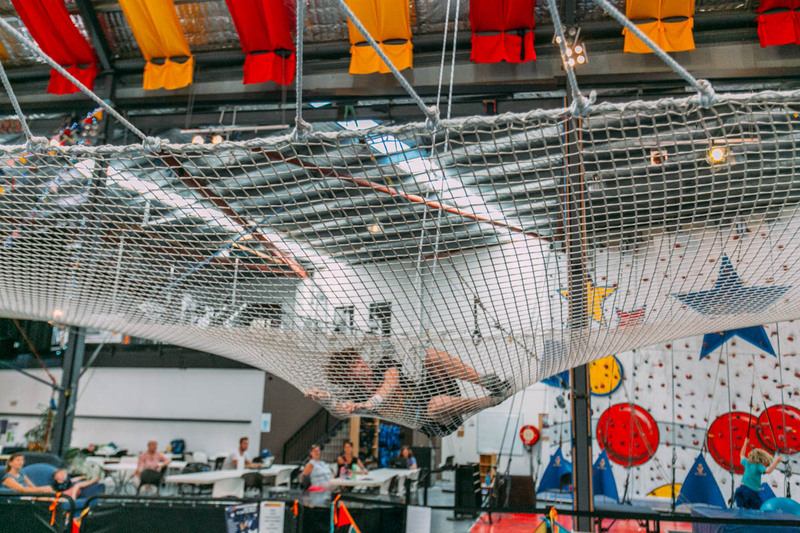 Though we could see the safety net below, it’s definitely a hair raising experience the first time you’re standing on that platform. 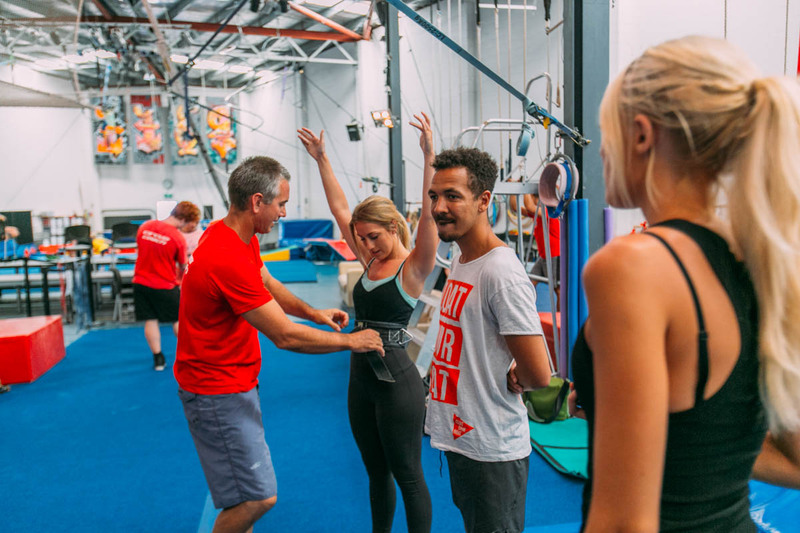 The instructor holds you by your safety harness, while you grab the bar and are asked to lean forward over the edge. There is something fantastic, about feeling that fear, and then doing it anyway. 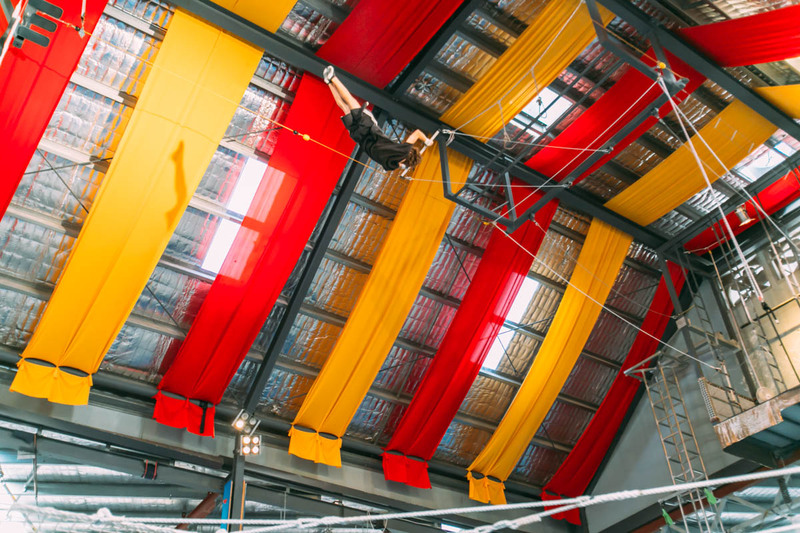 As you jump out and begin flying through that circus tent, 10-15 metres above the ground, swinging big, back and forth whilst executing an acrobatic manoeuvre, has to be one of the most daring stunts any of us can remember participating in. 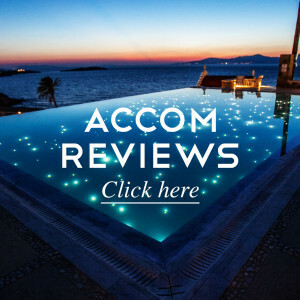 The sensation of pure adrenaline was not unlike a bungee jump or cliff dive, except rather than simply jumping off, there was a skill factor involved, which gave each of us a feeling of achievement beyond just the thrill. In all we each got to jump over 5 times, working our way up to the main event, where we’d perform the upside down swing (a little hard to describe with words, but the photos captured it perfectly) and finish off by being caught by one of the other instructors, swinging in time on another bar at the other end of the tent. It was an incredible experience, that we didn’t all pull of perfectly, but were definitely so stoked to have experienced. 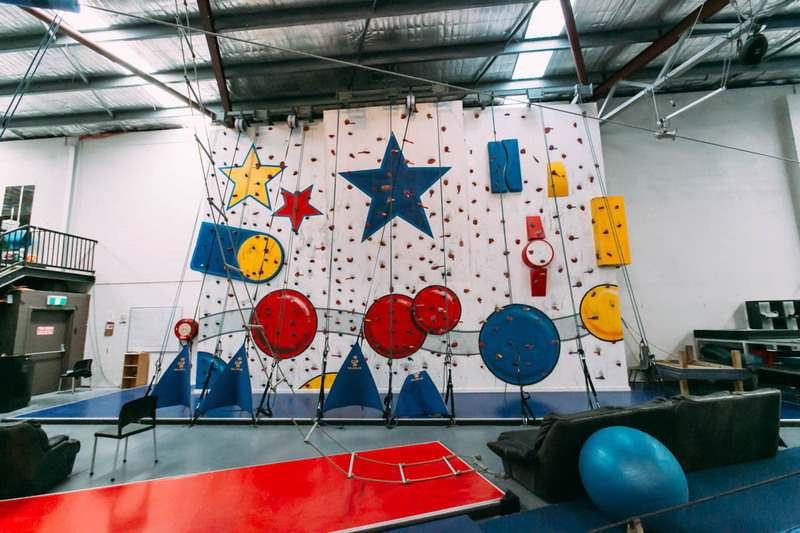 If you’re in Byron Bay, Sydney, Brisbane or the Gold Coast, and feel like pushing your boundaries a little outside your comfort zone, we’d be hard pressed to find a better activity to try out. In our comfortable lives, it’s so easy to become complacent and not learn new things about ourselves, where our boundaries are and what we are capable of in the face of fear. For that, nothing beats direct experience. It’s a solid tick off our bucket lists, and an experience we’ll remember for a lifetime.